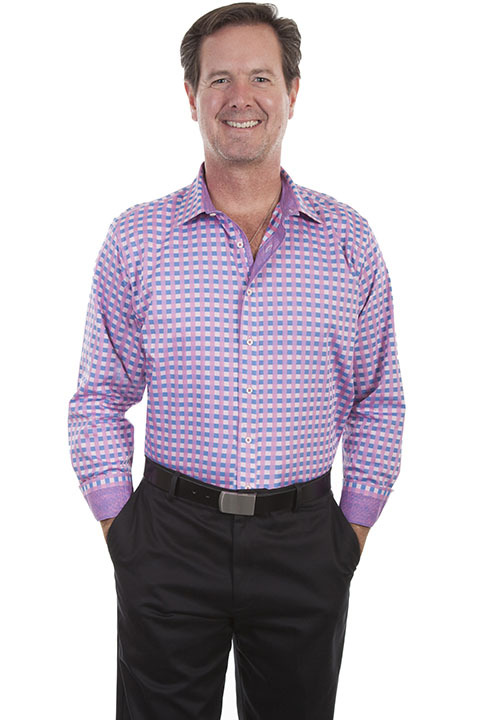 This bold colored check shirt will definitely turn heads!. It features a subtle tonal trim on placket, inner collar and cuffs. It has a full button front and point collar.